Despite belligerent rhetoric over the Korean nuclear crisis, neither party would win from actual military action, observers say. But there is a risk of a ‘war by mistake’, triggered by an accident and spiraling out of control. There is no shortage of most threatening signals to Pyongyang coming from senior US officials lately. 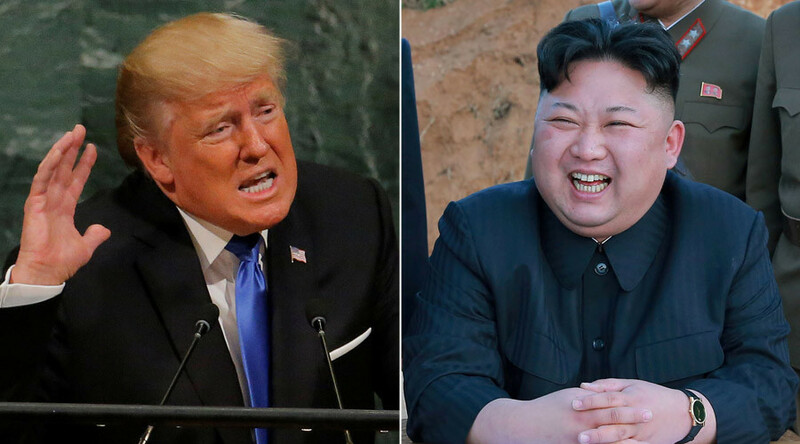 President Donald Trump threatened to “totally destroy” North Korea while addressing the UN General Assembly and branded its leader a “madman” and “rocket man.” Secretary of Defense James Mattis mused about deploying US nuclear weapons in South Korea. And Senator Lindsey Graham even advocated starting a war now, before American lives are at stake in the conflict. The American saber-rattling mirrors the statements from Pyongyang, which threatened to “sink Japan”, compared Trump to a barking dog and said may conduct biggest ever nuclear test in the Pacific region. The aggressive rhetoric on either side of the Pacific, colorful as it is, does not reflect any actual intention to start a war, a professor at the Kookmin University in Seoul, Andrey Lankov, told RT. “New Zealand’s indigenous people Maori have this war dance called haka. When a conflict emerged, two gangs of really fearsome men gathered and started jumping in front of each other, cursing each other in Maori language and swinging clubs in front of each other’s nose. An observer could think that those people were about to pounce on each other. In reality it was a way of saying ‘hello’ before talks,” he said. “People in Pyongyang used to dance a sort of haka solo, with lots of swinging of clubs, bulging of eyes and threatening shouts. But now they have a worthy partner in the White House, who does all the right moves. So aesthetically speaking, watching them is much more fun,” he said. The cost of an actual military conflict on the Korean Peninsula would be too high for everyone involved and would bring too little benefit, if any, to pay it. This has been true for decades, and the current round of high tension, even if more media-worthy than those we saw on regular basis, does not change this. While Washington has repeatedly said that the military option is on the table, there are no practical scenarios, experts agree. 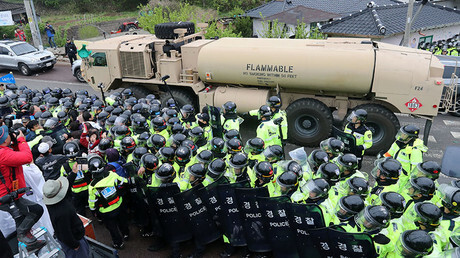 Korean geography puts Seoul, a city where roughly half of South Korea’s 50-million-strong population lives, within the range of North’s long-range artillery, effectively making it a hostage city. There is no way the South Korean capital can be protected from retaliation, should Pyongyang chose to launch one after being attacked. “I don’t see a prospect of a full-scale invasion a la Iraq [in 2003], but I do see a danger of things getting out of control. The most likely military option would be a ‘preventive strike’ by the US against North Korean nuclear facilities. They would do what the Israelis did with Operation Opera in Iraq. But my view is that there would be a response by North Korea,” former MEP from Britain and member of the Korean Peninsula Delegation in the European Parliament Glyn Ford told RT. Operation Opera was a 1981 surprise Israeli airstrike, which destroyed the Osirak nuclear reactor being built by Saddam Hussein’s Iraq, allegedly with the help of Iran. A similar operation was conducted by Israel in 2007 against a suspected nuclear site in Syria. Neither country was capable or willing to try to hurt Israel militarily in response, which may not be the case with North Korea. “There would eventually be a response, unlike with Iraq. So a full-scale conflict may not be by actual design, but not any less deadly,” Ford said. A worst-case scenario of a new war in the Korean Peninsula would result in millions of deaths, said Brian Becker, director for the US-based anti-war group Answer Coalition. He added that Kim Jong-un may have boosted North Korea’s nuclear and rocket development in response to the US announcing the so-called “pivot to Asia” under the Barack Obama administration. Ironically, the reaction in Pyongyang gives the US another pretext to pour in more troops. “But North Korea doesn’t see it as a pretext. From their point of view as a small country that had been invaded and devastated by the US, [the pivot] is an existential threat. As a consequence, they are escalating their nuclear weapons capacity. And then the US must respond to that,” Becker said. If Washington does trigger the destruction of Seoul by a pre-emptive strike on North Korea, it will most likely alienate its southern ally for a foreseeable future, said the director of Eastern Asia Studies at the State Institute of Foreign Relations in Moscow, Aleksandr Lukin. “If the US does it, it would be really stupid. The Korean people will hate them for a hundred years to come. And nobody will remember details, just like today people forget why the atomic bombs were dropped on Japan, but everybody remembers that the Americans did it,” he told RT. If a full-scale war does start despite its cost, Pyongyang would face an overwhelming military force of South Korea and the US, likely with Japan’s help. 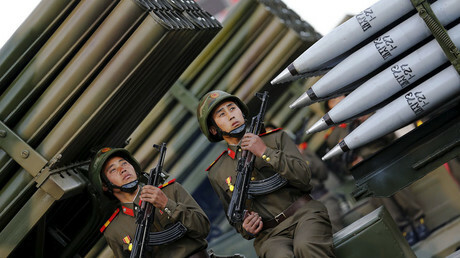 Global Firepower Index ranks North Korea’s military as 23rd-most powerful in the world. South is ranked 12th and Japan seventh. Pyongyang’s estimated defense budget for 2017 is $7.5, compared to $5.2 billion, which the City of New York spends on its police department. 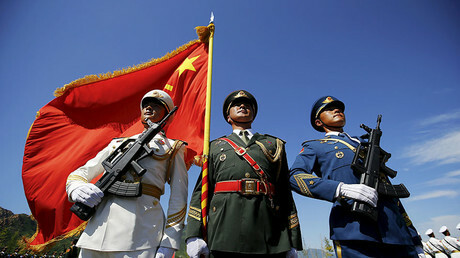 North Korea has had a joint defense treaty with China since the early 1960s – the only country with such a pact with Beijing. But China made it clear that it would not protect Pyongyang if it starts a war. The elite of North Korea are not suicidal, and nor is Kim Jong-un, said Lankov. “The country is not ruled by the Kim family alone. There are some 100 to 150 families of the first tier, the so-called Mount Paektu families, and several hundred families of the second tier, the so-called Naktong Offensive families, which have been ruling it for three generations. All these people know a war would be the end for them,” he said. 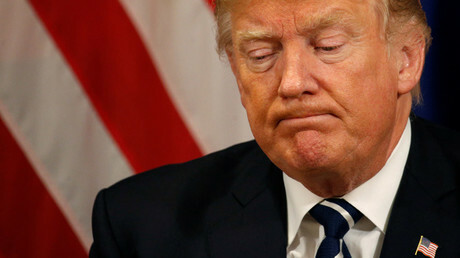 He added that if anyone realizes the purely defensive nature of Pyongyang’s nuclear development that would be American generals, who apparently played a major part in scaling down Trump administration’s war plans, which were being discussed in earnest as early as February. “Ironically, the most ‘dove-ish’ part of the current administration on the North Korean issue is the Pentagon. Those people realize that the war, which politicians may draw the country into out of stupidity, would be a political and military catastrophe, strategically speaking,” he explained. Strangling North Korea with economic sanctions is actually not an option too, even though the US is trying that path. Pyongyang sees nuclear deterrence as crucial for its survival, so it would rather allow North Korean people starve than relinquish it. The examples of Muammar Gaddafi and Saddam Hussein seem to be quite convincing in that regard. And despite Trump’s rants to the contrary, China’s ability to pressure North Korea is limited and apparently does not go as far as making it freeze the nuclear program. More importantly, neither Russia nor China is interested in the fall of the North Korean government. In the short run it would cause turmoil in the region with mass migration of refugees. In the long run, the Korean Peninsula may be unified under Seoul, placing American troops at China’s and Russia’s border. 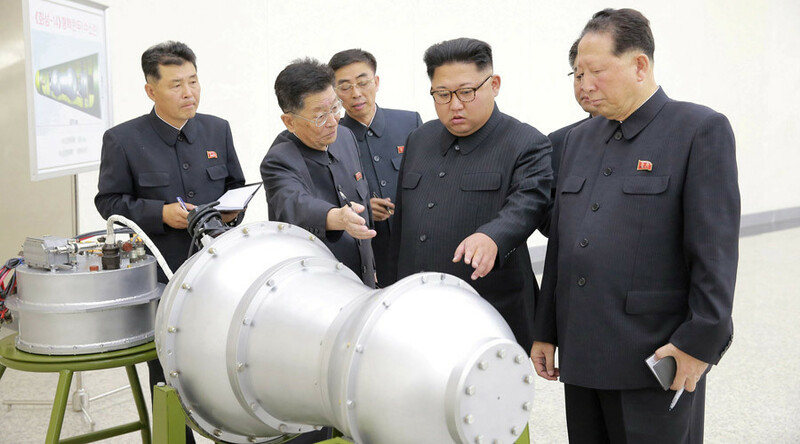 So it may well be that acknowledging a reality of a nuclear North Korea may be the best outcome, said Asia-Pacific defense consultant Jack Midgley. Pyongyang’s endgame in pursuing nuclear and rocket industry is a stronger negotiations position with the US, Midgley told RT. The objection to the program from Washington is dictated by that consideration, as well as the military dimension per se, he said, but in the long run talks is what gives the US most benefit. Ultimately North Korea will need foreign advice on how to properly handle its nuclear arsenal, Midgley added, since countries like China and Russia are years ahead of Pyongyang in working out proper procedures. That would help reduce the threat of starting a war by accident, he explained.